This overview describes the use cases for using the OData standard to access ALM Octane. You can retrieve ALM Octane data over OData with reporting and business intelligence tools. 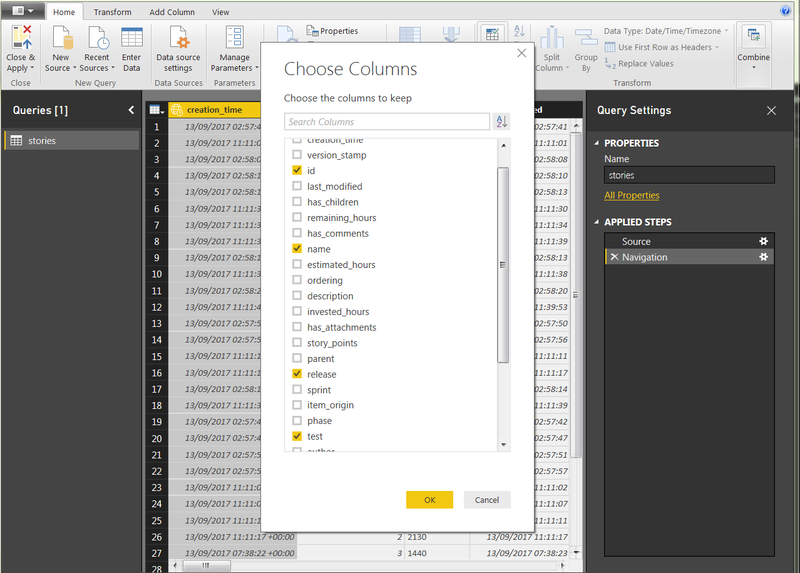 You can use these reporting and business intelligence tools that support OData (such as Power BI) to generate reports and charts, instead of relying only on ALM Octane dashboard widgets. Connect to ALM Octane's OData support from the application's interface. ALM Octane supports OData versions 2.0 and 4.0. Any tool that supports OData version 2.0 or version 4.0 is likely to work well with ALM Octane. ALM Octane OData support has been tested with Power BI and Excel. 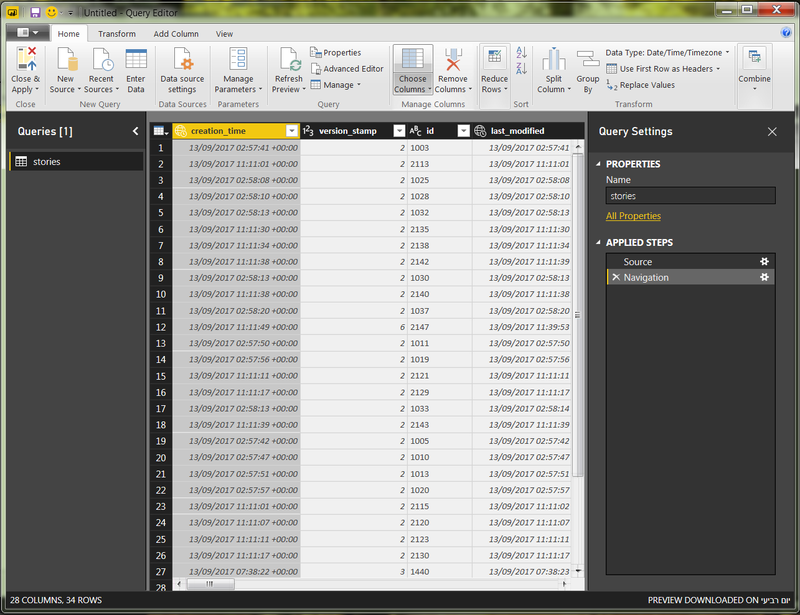 For OData version 4.0 support, download and install the Microsoft Power Query for Excel add-in. Make sure the following prerequisites are met to work with OData. Request that the site admin or the space admin activate basic authentication with the SUPPORTS_BASIC_AUTHENTICATION configuration parameter for each space. For details, see SUPPORTS_BASIC_AUTHENTICATION. When ALM Octane is configured with SSO, configure OData integration using API access keys. For details, see Set up API access. Troubleshooting: If ALM Octane does not respond successfully to an OData consumer request, it might be because the base URL used to refer to ALM Octane is different than expected. Consider modifying ODATA_USE_SERVER_BASE_URL and SERVER_BASE_URL as described under Configuration parameters. Tip: When working with basic authentication, on each successful authentication, ALM Octane includes the LWSSO_COOKIE_KEY cookie in the response. We recommend that you send the LWSSO_COOKIE_KEY cookie with each subsequent OData request for enhanced performance. For details, see the information about the LWSSO_COOKIE_KEY under Authenticating. Any reporting or business intelligence tool with OData support can integrate with ALM Octane, including Excel 2010 and later, Power BI, Power Query for Excel, and Power Pivot for Excel. For a list of many of the tools that support OData, go to http://www.odata.org/ecosystem/ and click Consumers on the left. 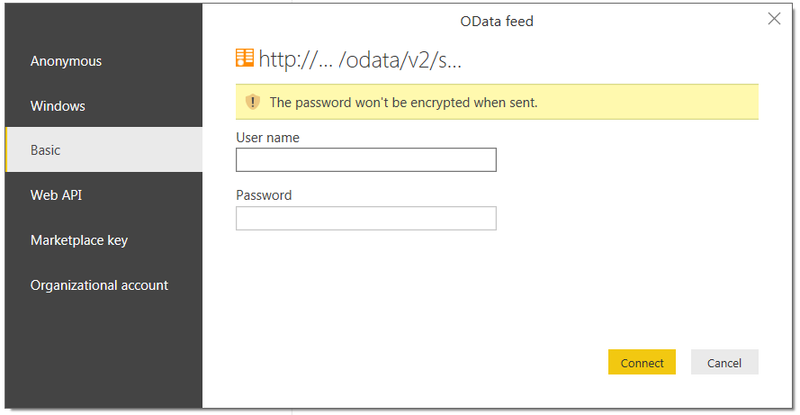 Choose Home > Get Data > OData Feed. Enter the ALM Octane server base URI and click OK. Under Basic, enter the ALM Octane user name and password. Now you can see all ALM Octane entities in the Navigator. Choose DATA > From Other Sources > From OData Data Feed. Select Use this name and password and enter the information. Now you can see all ALM Octane entities. Troubleshooting: When trying to access ALM Octane data from a Microsoft application, a message similar to "The server has closed the remote connection" displays, due to a Microsoft environment issue. When using OData with a secure ALM Octane server and Microsoft Excel (or other Microsoft applications, such as PowerBI), this error appears. This is because, by default, the Microsoft application does not support TLS1.2, which ALM Octane expects. Modify your registry (using regedit.ext). If these keys do not exist, create them. 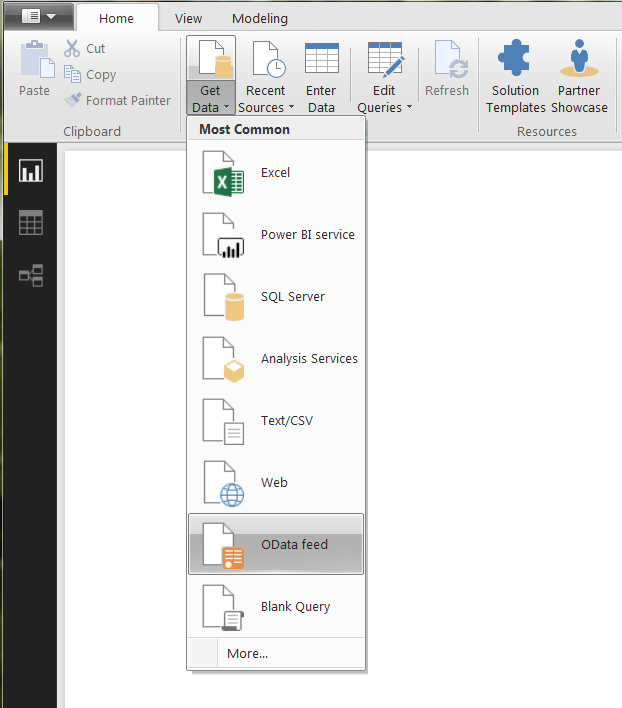 For a Power BI template that you can deploy and import, see https://marketplace.microfocus.com/appdelivery/content/power-bi-desktop-template-for-octane-odata. 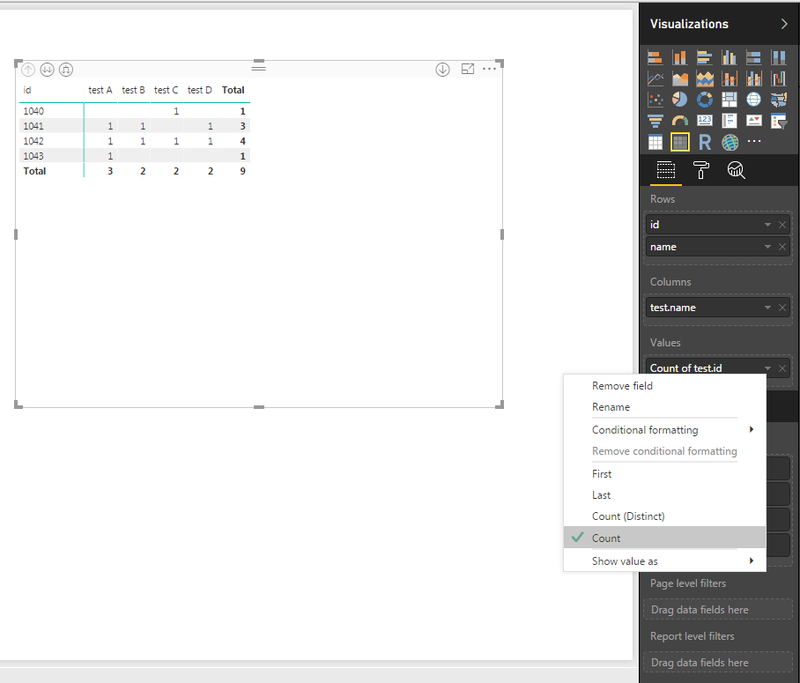 This example demonstrates how to use Power BI to access ALM Octane data using OData. It shows, step by step, how to create a traceability report. 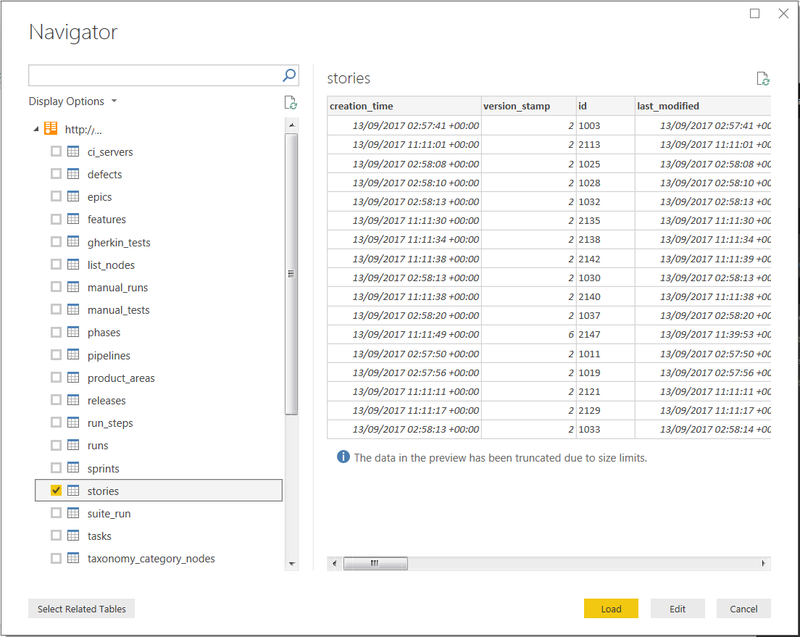 In Power BI, set up the data feed for ALM Octane with OData. 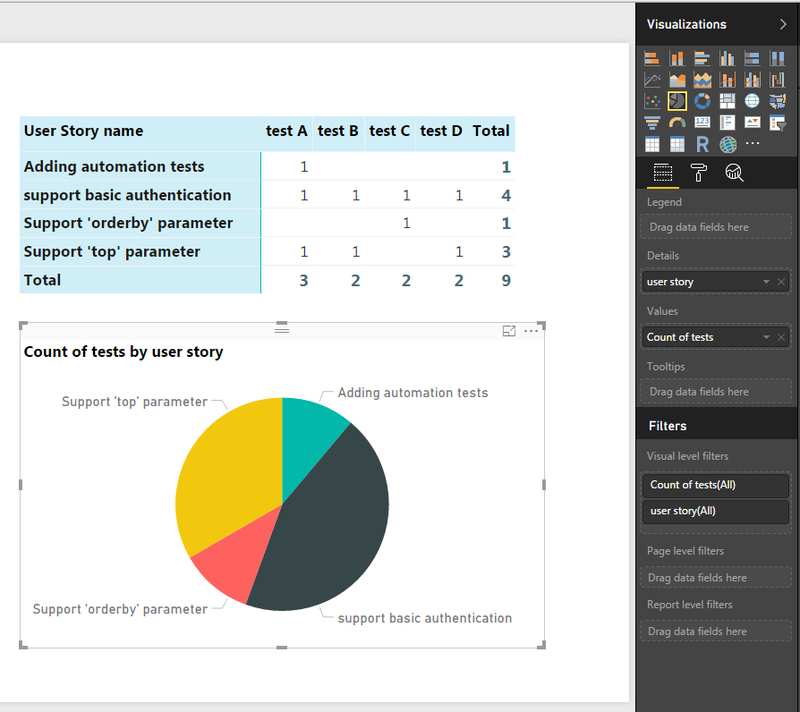 For details, see Example of how to access ALM Octane using Power BI. Set up a basic feed using the ALM Octane URI. Enter the user name and password for basic authentication and click Connect. Now we have connected and can see all ALM Octane entities. Let's start creating our report. To see only stories, click on stories and then Edit. We now select the columns we want to see. Click Choose Columns. 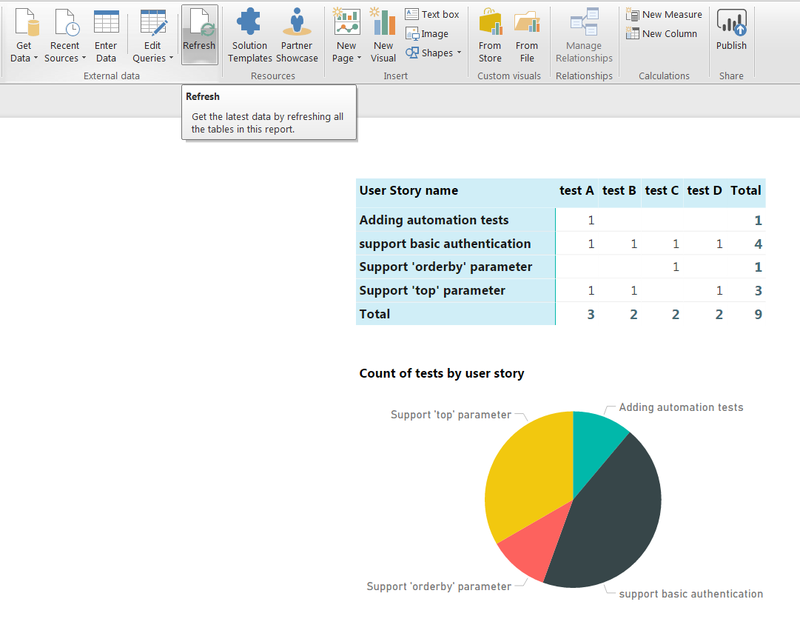 For our report, let's select the ID, name, release, and tests columns. Releases and tests are references to other entities. We can get more information about releases and tests by clicking on the right button for each column to expand them. Click the button for the release. We would like the name of the release, so we select name. Similarly, click the button for tests, and then select the name and ID attributes. Let's filter for items in release 2.2. Click Close & Apply. Here is the result so far. Now we will create the graph with data we select. Arrange the rows, columns and values. We can also add the pie chart visualization. Save and refresh the data.